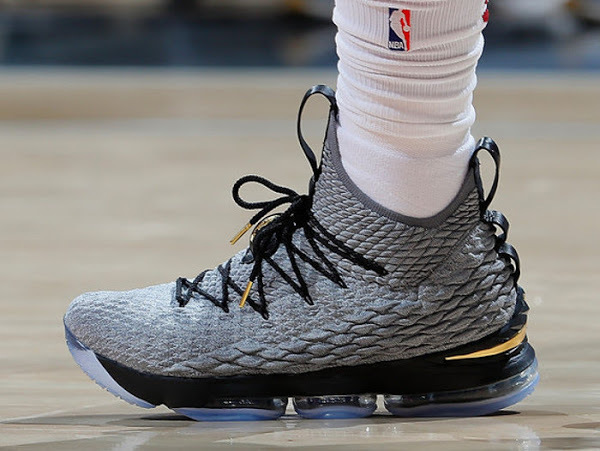 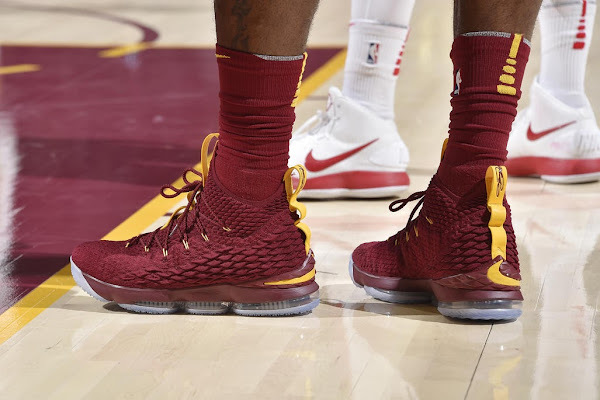 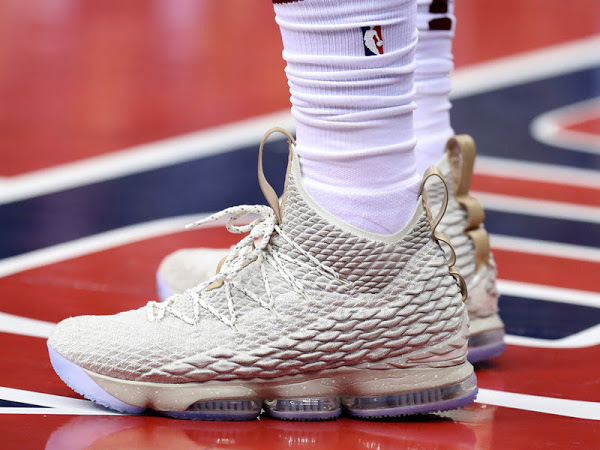 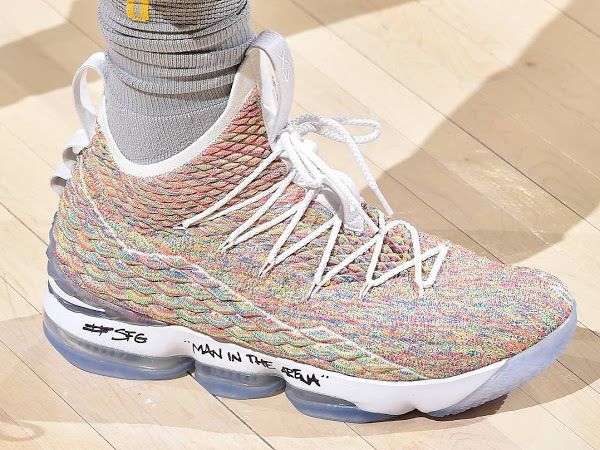 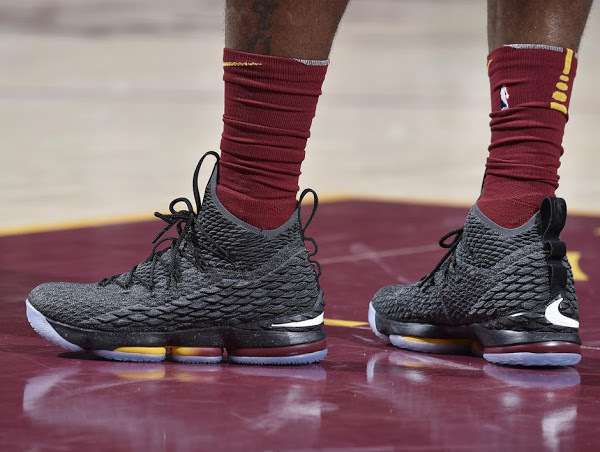 Last night, King James continued his “new-pair-each-game” streak alive with the debut of the “Stardust” Nike LeBron 15 PE, which he wore in the second half of the game against the Atlanta Hawks. For the first half he wore the Wine/Yellow PE, which he did wear once before. 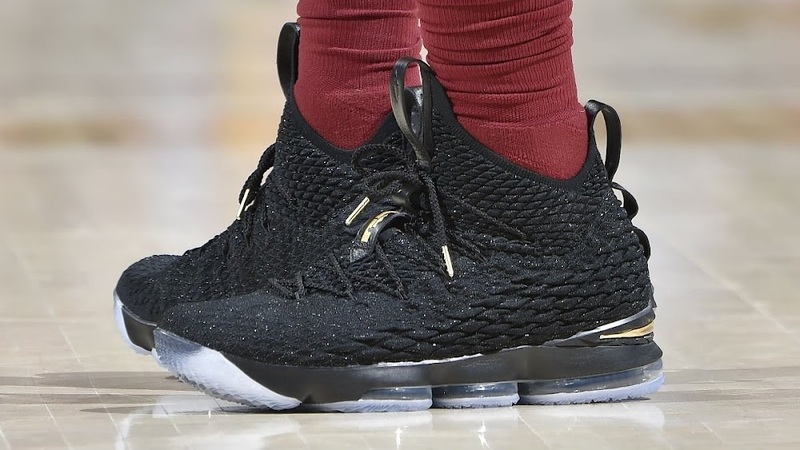 After 10 games, James wore 11 different LEBRON XV colorways and unlike in previous years he’s sticking with only one shoe so far. 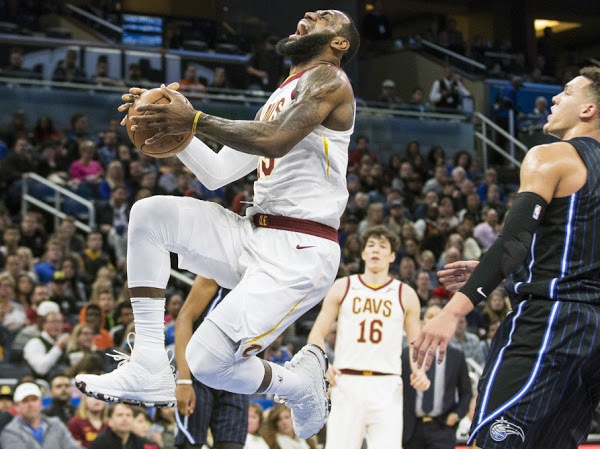 You can see the complete timeline for the 2017-18 NBA Season HERE. 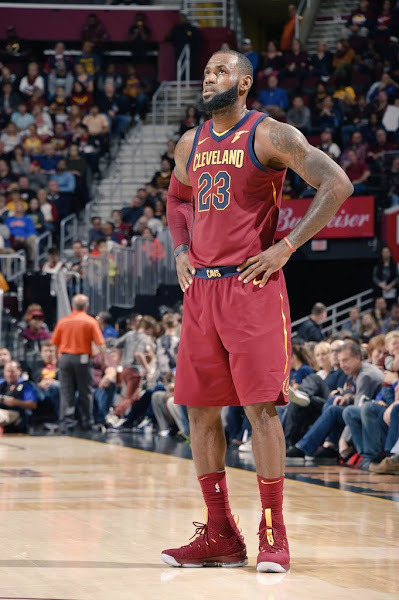 The King scored 26 points with 13 assists and 5 rebounds. 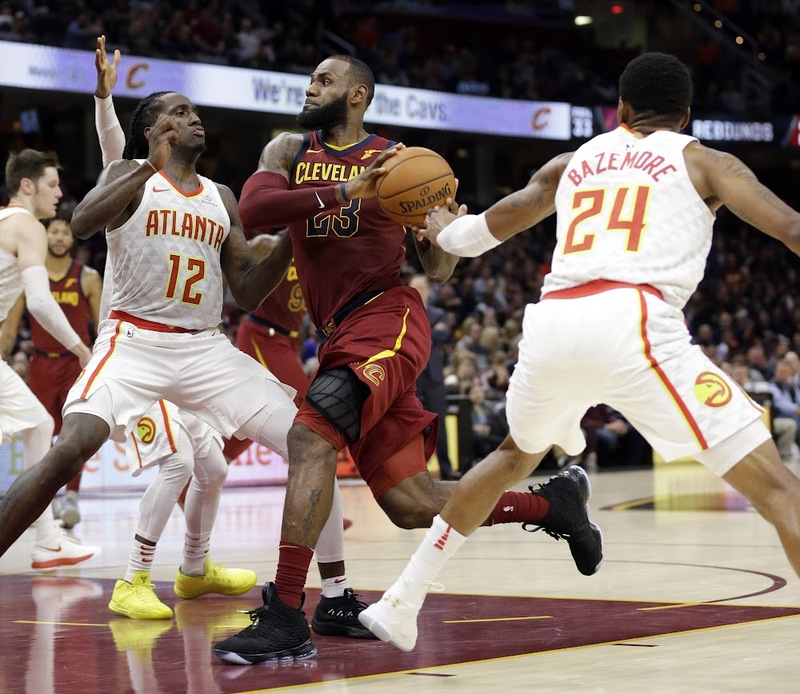 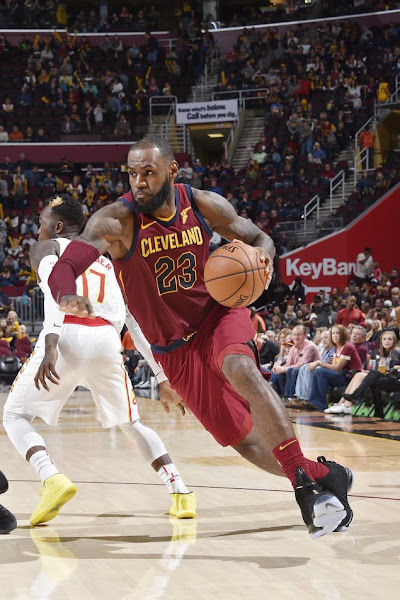 Kyle Korver added 23 but the Cavs lost at home to the Atlanta Hawks 117-115 despite a furious comeback in the fourth quarter.